Last Friday night, I had the honor to be part of an event called the Conservation Jam, hosted by The Center for Great Plains Studies and The Nature Conservancy, and attended by about 300 people. I was one of 15 conservationists asked to present a “big idea” to help conserve the Great Plains. There was just one catch – each of us had to give our presentation in three minutes. Three minutes is not very long. I thought I’d share my presentation with you. Partly because I spent a lot of time putting it together and only got to spend three minutes presenting it. (But mostly because I’m too lazy to come up with another idea for a blog post this week.) The topic of my presentation was not a new idea; if you’ve followed this blog, you’ve seen more extensive posts on similar subjects twice before, in January 2011 and February 2012. The change of focus I advocate for isn’t, by itself, going to save the Great Plains, but I do think it’s a very important part of our approach going forward. In grasslands, the vast majority of species are plants and invertebrates. 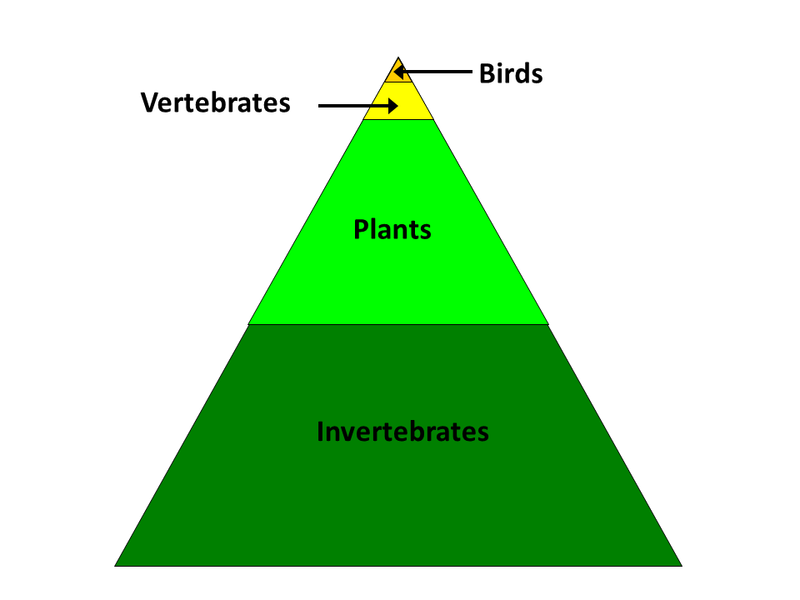 Birds and other vertebrates make up a very small proportion of those species. 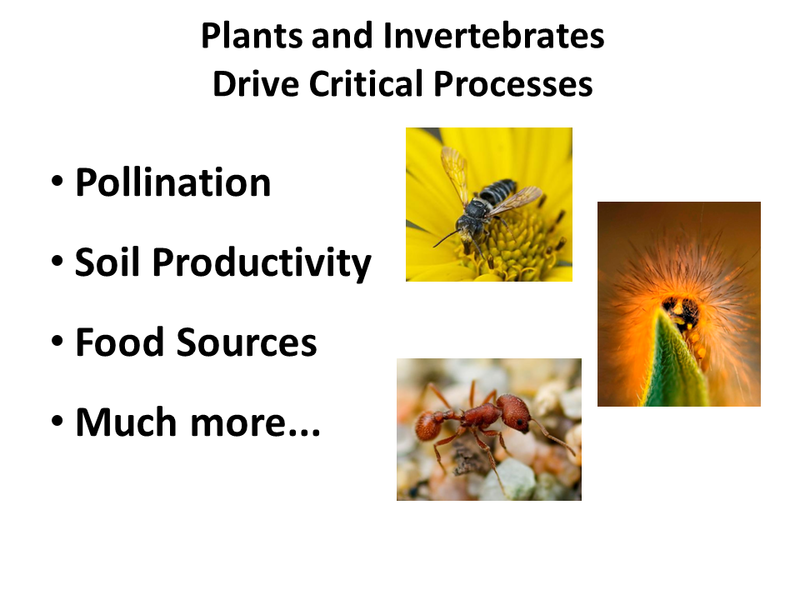 Between them, plants and invertebrates drive the ecological function of prairies (including pollination and soil productivity; and they are the food sources for most creatures). In other words, they’re what make grasslands tick. 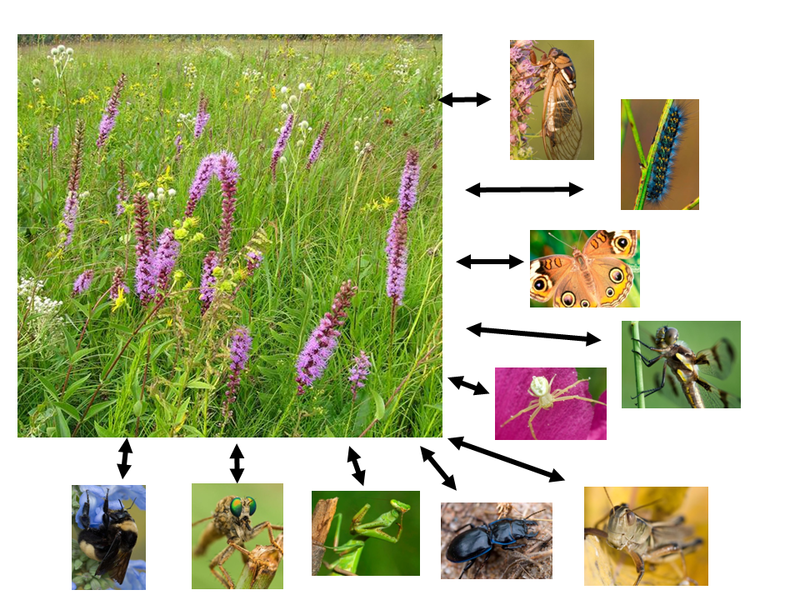 The diversity of plants influences the diversity of invertebrates, and vice versa. That complexity is the foundation of the resilience and overall stability of the ecosystem. It’s critically important to maintain plant and invertebrate diversity because without it, the ecosystem breaks down. So clearly, as grassland managers and advocates for prairie conservation, we spend the vast majority of our time focusing on plants and invertebrates. …Right? Wrong. We actually focus mostly on birds. Birds we shoot and birds we watch. I really like birds, but they’re not good indicators of how plant and invertebrate communities are doing, so they don’t tell us much about prairie function. Birds are an important part of conservation, but they’re only a small piece – we need to be sure our focus on them doesn’t distract us from the broader ecosystems they live in. A couple years ago, we brought these Illinois botanists to Nebraska to help us with a research project. We had to, because there aren’t many people in Nebraska who can identify the majority of plants in a prairie. That’s embarrassing. More importantly, how can we manage prairies or evaluate our conservation progress if we can’t identify the species we’re trying to conserve?? We know even less about insects and other invertebrates. 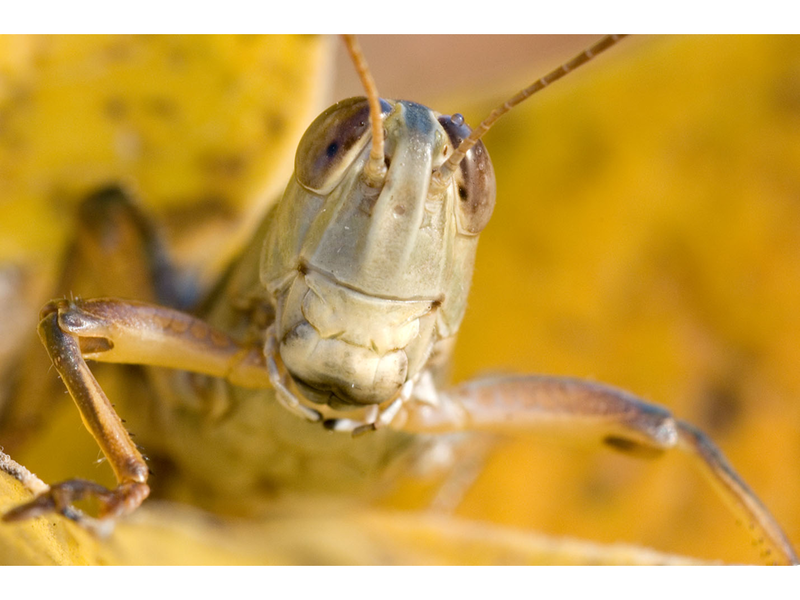 Of the few entomologists we have in Nebraska, most focus on crop pests. As a result, we really don’t know what species of pollinators or other insects we have, let alone how they’re doing. This is Mike Arduser, who came up from Missouri last year to help us learn about bees on the Platte River. Look, we have GOT to make some changes. We desperately need naturalists with broad bases of experience who can help us study and assess plants and invertebrates. We need to know what we have so we can see if we’re winning. It’s up to all of us to broaden our own focus, but also to encourage others to do the same. …but THIS is the face of conservation. We need to create more opportunities to learn both insects and plants. More importantly, we need to convince people that plants and invertebrates are interesting enough to care about. 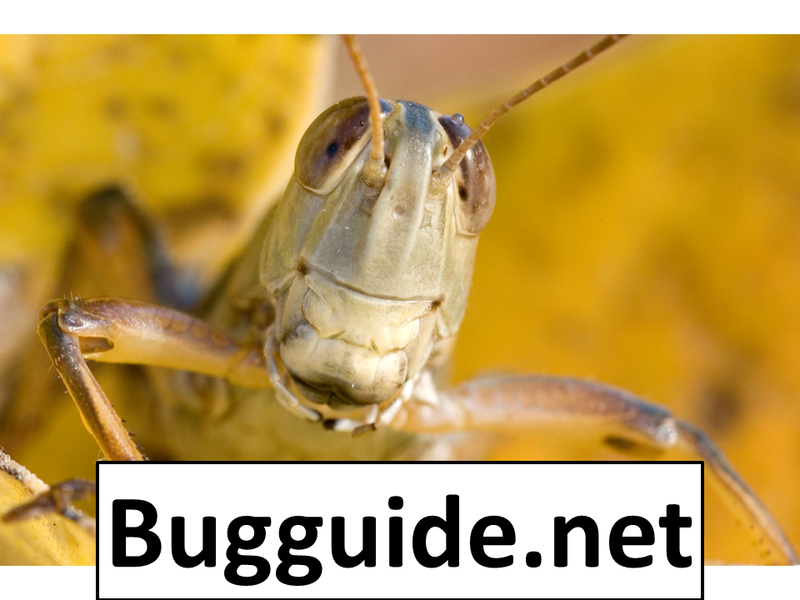 There are resources like bugguide that can help amateurs like us identify insects, but they only work if we use them. 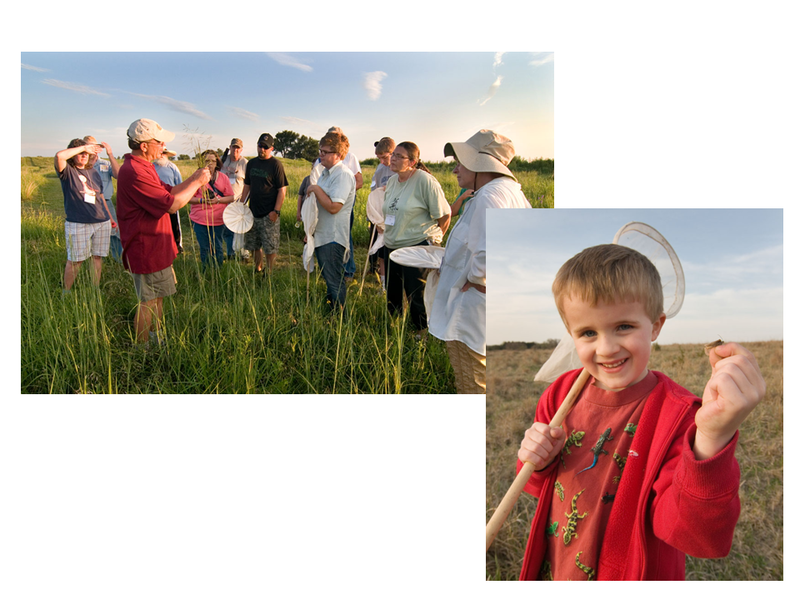 This entry was posted in Prairie Animals, Prairie Insects, Prairie Management, Prairie Natural History, Prairie Photography, Prairie Plants and tagged center for great plains studies, conservation, conservation jam, grasslands, great plains, importance of bugs, importance of insects, importance of plants, prairies, the nature conservancy, thee minute presentation by Chris Helzer. Bookmark the permalink. My first reaction to this quite honestly was – “there aren’t many people in Nebraska who can identify the majority of plants in a prairie”???!!! If that is really true, then why is that? Are there no jobs for them? Is that because we don’t have enough publically owned land to offer them solid employment? 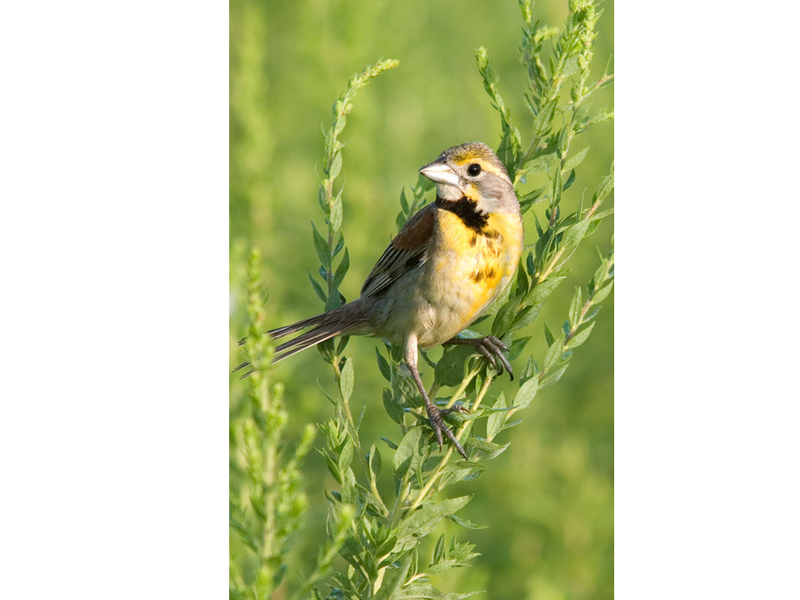 Do our higher learning institutions in Nebraska encourage biologists to pursue projects related to birds over plants, and plants over invertebrates? If so, why so? Is that where the money is? Are Nebraskans as a whole just so disinterested in prairies that we don’t see value in evaluating them? Your posts are usually very uplifting … and while this one was a bit of a downer – it is certainly also a call to action. What do we need? Everyone needs to make a living … does it come down to funding – or building interest? Teresa – I think it’s a complicated answer. There is certainly much less emphasis on basic natural history education in college, and that hurts. Birdwatching is much more popular than botanizing – it’s easier to identify birds than plants (or so is the perception, I think). Those two things, and more, then compound each other. Because birds are more popular, more people learn about them. Because more people are interested in them, more research is focused on them. Because more research is focused on them, we try to find ways to make birds indicators of the more complex (and less understood) ecosystem. Nebraska is not alone in this, though some states that are more populous (e.g, Missouri, Illinois) and have less prairie have quite a few more botanists roaming their prairies. I think that’s largely purely a ratio thing (more people, less prairie = more botanists/prairie). It’s one of the reasons I spend a lot of time talking about and showing the great stories that have to do with plants and insects. No one will care if they don’t see a reason to. It is very hard for anyone to learn all of the plants that could be found in a Prairie. “The Flora of Nebraska” that is published by UNL is over 900 pages. Jeremy – you’re right, of course. On the other hand, I can do it, and I came out of grad school as a bird guy. Mostly, it takes interest, exposure and time. I’ve trained a number of seasonal technicians, and within two-three months, most of them can identify 60-75% of the plants in our prairies. Thank you Chris, I agree if you want to learn them you will, but folks, don’t worry about learning them all, but we can learn a couple dozen species and make plans to plant them on our own landscapes! Excellent post! It isn’t easy to condense complicated problems into three minutes but you did it! Interesting and thought provoking. I better get out there and learn the bugs. Chris, I work for a Conservation District in Michigan. I know this post was meant to apply to a plains prairie, but it would also apply to most other environments. Would it be okay if i re-posted it in my Annual Report in Michigan? I think it would be very well received. Willidene – you’re welcome to re-post anything anytime. Thanks for asking. Excellent post, as usual. 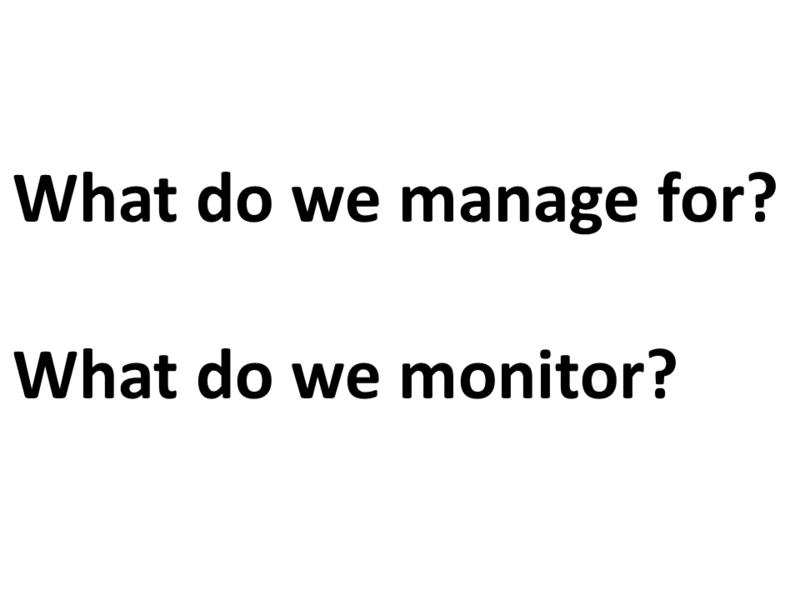 From a federal perspective, we are often limited by the scope of our Trust responsibilities (endangered species, migratory birds, interstate fishes), and this may explain some of the bird bias in monitoring programs that have fed dollars involved. I agree that plants and insects have better site fidelity (obviously) and are better indicators of prairie health. We are going to try to incorporate FQI monitoring into future restoration projects. Great post, and great job of condensing a complicated issue into 3 minutes. This is something that a program I’m involved with is trying to come to grips with in Texas. They have tried assessing whether our restoration efforts are successful based on bird life. As of now the response by birds has been mixed, but we haven’t even scratched the surface of invertebrate assessments of determining restoration success. I agree when it comes to attracting funding dollars its much easier to convince most government officials speaking about threatened/endangered bird species rather than relatively unknown invertebrates. It can only get better if folks keep spreading the word about different measures of ecological resilience, diversity, and function. Enjoyed your talk last week! My only note written down was the bugguide :) Since moving out to our little spot that has both tallgrass prairie (although quite degraded) and saline wetlands, I have loved to monitor the insects. I heard at a lecture once that the best indicator of ecosystem health might be spiders since they are the top of the insect food chain. If that is the case, our place does great! The dew on thousands of spider webs is beautiful. I am a big proponent of better use of our private lands as well since what happens there impacts all of us, even our wildspaces. We are aspiring eco-farmers. Having grown up on farms, we have seen the good and bad of current ag practices, but have found inspiration from Chuck Francis (a fellow speaker last Fri) among many others to pursue agroecological methods. We have a group devoted to the dung beetle even :) If you want to come meet some other farmers passionate about conservation, check out the Nebraska Sustainable Ag Society. Their conference is at Mahoney State Park in a couple weeks. Nice presentation Chris. I am trying to move into conservation and away from consulting because I feel the same. I have conducted my fair share of public education and I have learned that at times when I tried to present a holistic picture people had a difficult time grasping some of the concepts and I ended up refocusing on one cute or beautiful thing they could relate to or focus upon then relate it to their own human body to hone a holistic view. I understand the concepts of keystone species, and have had to management for them etc. but at times watching the management of single species is frustrating…perhaps it’s simply because I am a plant nerd at heart and simpleton. Lol. Anyway nice job. I am presenting the same concept every chance I get and will do so with my thesis of invasive plants if allowed. Provocative and thoughtful post as usual, Chris. 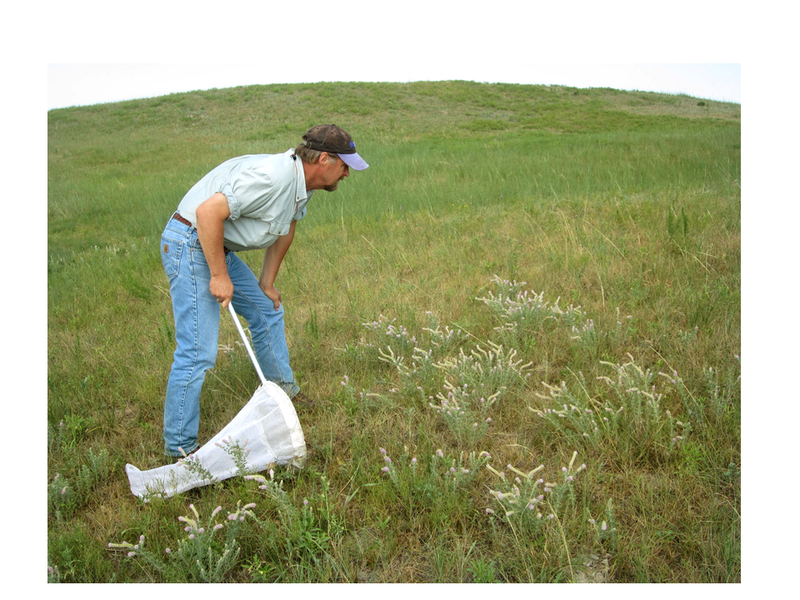 I don’t think there will ever be enough funds to provide the professional coverage needed to adequately assess and monitor plant and insect life on prairies (or anywhere else for that matter). We’re going to have to rely more and more on interested citizen-scientists. The problem with professionals is that most want to advance their careers (! ), which in most cases means moving on and away from these tasks. The benefit to using citizen-scientists is that they are more likely to be local, committed, have some flexibility and longevity, and would not be in it for the money. The hard part is that reliable and interested folks are hard to find. 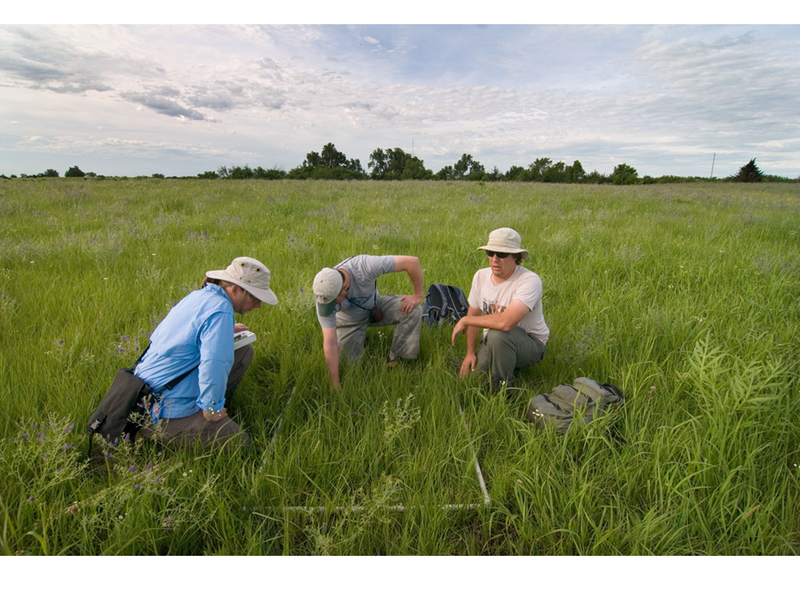 But I’m not sure that professional communities are working effectively to recruit, engage, train, empower, and recognize citizen-scientists to do the kind of work that you propose doing on prairies. Perhaps some additional efforts should be focused in this direction…. Interesting choice of how to spend 3 minutes. Someday, you will tire of your envy of us bird biologists ;) But, on a serious note, many of the points you make about plant ecologists and entomologists with applied focus could potentially be solved if we (I will include myself) find ways to lobby (and that is the correct word) University administrators to show citizens’ interest and stakeholder interest in faculty research and (more importantly) Extension positions that can serve the interests you espouse. Until then, the cattlemen and the soybean board hold the enviable position of having figured out this process (and, more power to them–they do a good job in that department). TNC could be immensely helpful as partners with this process. 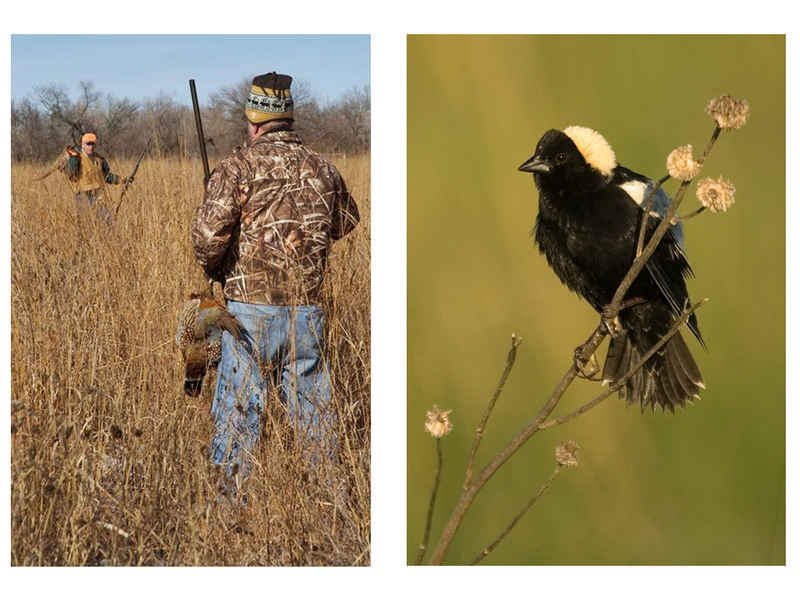 For example, NGPC has done a very good job in establishing the $1.8 billion in economic value of hunting, fishing, and nature-enjoyment on an annual basis in NE. Squeaky wheels get the grease, and squeaky wheels that show economic impact to Nebraska get even more grease. And, that, my friend, is why I have been studying pheasants and prairie-chickens for that past few years! Just to keep the conversation going, I will argue that birds are actually incredibly useful to conservation at the moment. My assertion–you can worry about prairie function all you want, but if you don’t have acres of prairie, you aren’t going to have function at any level! And, birds tell us in a very real way that our landscapes are changing as corn prices soar. My talk at the Society of Range Management today (they gave me 20 minutes!) tried to make the point that we can care all we want about details of management to affect local nesting conditions for prairie-chickens, but the most critical thing at this moment in time is to worry about acres. So, it’s all about scale…and birds are great for large-scale trends in landscape use. It’s fun to think about how one might spend 3 minutes. I maybe would have, very poorly, talked about innovative ways to encourage more private landowners to have some grass on their property (and, not all maize). And, my photos would have paled in comparison. These are bar-stool, fun conversations. I’m glad Nebraska has people like you working for conservation, Chris. Scale is one aspect of grasslands for which birds certainly are an indicator. I would argue, though, that the relevant scale of grasslands for birds may not equate with that of many other taxa. For example, most bee species may be able to survive very well in a landscape of small prairie patches and lots of road ditches – not a very friendly environment for most grassland bird species. We’re hoping to clarify that with some of our SE Nebraska research (w/ Craig Allena and Bethany Teeters). I’m not sure what scale is necessary to maintain viable populations of compass plant, leafhoppers, or other creatures. A prairie chicken scale might be relevant or it might not. That said, I promise I’m not anti-bird. I’m just pro-inverts and pro-plants. We should sit and talk sometime about how to effectively lobby for better natural history education and research. I’d be happy to help, if possible. Yes. Yes. Yes. And the need to not only focus on and have the ability to identify plants and invertebrates, but the ability to do it very well. The ability to think of a prairie (and any natural community) as a whole, integrated, complex system in terms of both spatial structure and time, and to manage it according to those large perspectives while intimately understanding the minutiae that make up that whole. To need to be able to comprehend it from the angle of ALL organisms and to involve and synthesize the knowledge of all types of biologists and ecologists and naturalists as we plan management. And the need to understand the role of microbes in the soil as well. So much more to say, but no time. Thank you for this post! As a professional botanist in Missouri that has spent the last 15 years with his head in a quadrat learning to identify plants at all life stages, I am constantly fascinated by what plants can tell us about our landscape. Botanical monitoring of natural systems is a gold mine of information just waiting to be extracted. Combining floristic quality statistics with richness and structural indices can answer so many questions about the floristic integrity and restoration potential of our natural systems. But these data must be collected with no less than 98% accuracy or it provides little or the wrong results, as most methodologies are applied. This takes experience and years of it. So it frightens me most that botanical sampling is considered a job for summer interns, undergrads and whatever “warm body” can be sent into the field with minimal training. The services of a field botanist should be on par with that of a chemist, engineer or medical professional in this cultural phenomenon we call conservation. And while we repeatedly hear about how conservation needs more experienced botanists, I struggle to make a living as one. Agencies claim there just isn’t any money for botanical work; budgets are too tight. So I struggle for a few hundred dollars to cover a few days of sampling on prairies and then watch fleets of trucks driving around all summer monitoring prairie chickens; I see barns full of expensive farm equipment; I see new offices and embroidered shirts. I know prairie chickens are important, as are embroidered shirts, but, as has been demonstrated in the three minute talk, this is a problem of resource ratios. Having just attended a state conference in which the botany session had 15 attendees, in the room next to the deer and quail session consisting of several hundred people, I don’t feel valuable or validated. Quite the opposite. Ultimately, it will be the wonderful and accurate posts on wonderful blogs such as this one, and the subsequent comments, that chips away at this problem until it gets legs of it own. I hope it gets legs soon. One last thing, while I’m singing the botanist’s blues here, this phenomenon goes deeper. We don’t just need botanists and entomologist, we need scientist. We need the climate that real scientists working together creates. That is ultimately what is missing. This is very wise information in an inspiring presentation. Thank you. I love bugs and flowers. I perform as John James Audubon, often leading hikes in character and talking about plants, insects and habitat, as did Audubon. But I will never forget one hike when a feisty older woman reprimanded me saying, we are birders, we do not look down. As an Illinoisian I would agree with your idea about ratio, but I would also argue that our state Department of Natural Resources, when they had a budget, did a great job of teaching citizen scientists about macro-invertebrate indicator species, (a sub-theme of my children’s picture book). We started with aquatics and then branched out to forest watch and prairie watch. If you are interested contact IDNR though I think they are now partnering with the Lewis and Clark Community College to manage the project. What a great, provocative post and insightful responses. I have a recommendation that is only symbolic, but it could make a difference in how we approach both teaching and research in the natural sciences and ecology. Nebraskans should name buildings at the new NU Innovation Campus after Nebraska’s great botanists and ecologists: Bessey, Clements, Weaver, Pool, Rydberg and others come to mind. Elsewhere, universities are naming such campuses after Monsanto, ConAgra, and the like, which have poor environmental records and distort research and education funding. Nebraska’s taxpayers should demand as much to inspire a new generation of faculty and students, and to reprise a distinguished and even glorious tradition that has almost been forgotten. Well said. Ron panzer in IL was my guy for insects and he is now retired from a illness. Working w a new grasshopper expert. Honestly, if bird conservation is a priority, then their food sources, very often bugs, should be a natural concern. I am better at plant ID, they don’t hide so willfully. I like bugs and they are a never-ending source of wonder because they do so many things so well. I think if we cease to pay attention to the birds and the bugs, we cease to care, and we forget that our life and our food comes from the same systems that support them. And that’s how we start to kill ourselves on this earth. We are ALL related. Big business conveniently forgets that in favor of Big Bucks. We read your “Changing Our Focus” blog with interest. We’ve been active birders for over 40 years but have developed a growing interest in studying and photographing insects in the last 10 years. We have used BugGuide extensively (we have submitted 1164 images) and have had most of our insects identified by the BG experts. We are the editors for quite a few of the insect categories on “NatureSearch” the Fontenelle Forest website of all living things in the Forest properties in eastern Nebraska (http://www.fnanaturesearch.org/index.php?option=com_naturesearch&task=viewcat&cid=67). We have been asked to present a program on insects at the Audubon Society of Omaha spring banquet and wonder if you would give us permission to use your triangle for life species in prairies? Is it copyrighted and if so, who should we attribute it to? Babs and Loren – I’m glad you enjoyed the post. You’re certainly welcome to use the pyramid illustration. It’s just a gross approximation of reality, but serves its purpose, I think. Good luck with your presentation, and thanks for your work on insects!